A bill is a statement with the detail of how much money is owed to somebody and also, in US English, a piece of paper that is worth a specific amount (this is called a note in the UK). In politics, a bill is a proposal for a new law and, in show business (ie, film, theater), it is schedule for an entertainment event. As a verb, to bill means ‘to send a list of charges to someone’ and, in show business, ‘to advertise something or someone.’ Unrelated to this meaning, a bill is also the beak of a bird or, in US English, the visor of a cap (called a peak in UK English). The electricity bill arrived in the mail this morning. Wendy paid with a $10 bill. The Senate is voting on the renewable energies bill. There are several comedy acts on the bill tonight. The translator billed her client for the work she had done. There is a new show billed at the theater this week. The old man had turned his cap around, so the bill was at the back. 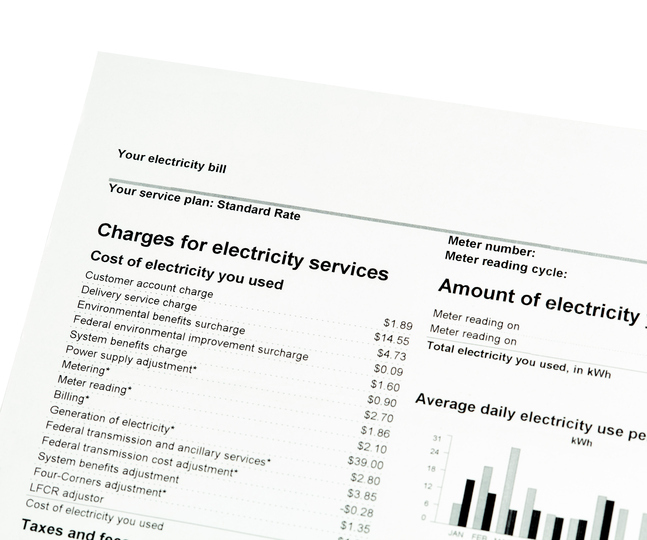 In both the US and the UK a bill is a demand for payment for utilities (like electricity, gas, and water) or for services (like getting your car repaired or a website designed). These kinds of bills can also be called invoices. In the UK, the word bill is also used for the amount you need to pay at the end of a meal in a restaurant (and we never say invoice for this), but in the US that is called the check. Bill is also a word that is used to refer to narrow promontories (bits of land that project outward into the sea), because of their beaklike appearance, such as Portland Bill in Portsmouth, in the south of England. You can read more about Portland Bill here. Bill first appeared in English before the year 900. The Old English noun bill was a fancy word for a sword, especially one with a hooked blade. It can be traced back to the Proto-Indo-European root bheie-, which meant ‘to cut or hack,’ and is related to the Old Saxon bil ‘sword,’ as well as the Middle Dutch bile, the Dutch bijl, the Old High German bihal, the German Beil, and the Old Norse bilda) all meaning ‘hatchet’). Because of the physical resemblance, this word came to be used to describe the beak of birds around the year 1000, and, for the same reason, in Middle English (around the year 1200), it was used to name thin strips of land projected into the sea. The original meaning has disappeared, but the other two remain. The other meaning of bill, a ‘statement of money owed,’ is completely unrelated. It came into English as the Middle English noun bille from the Anglo-French (bille) in the early 14th century. It can be traced back to the Latin bulla, which meant list. The verb, ‘to charge someone,’ comes from this noun.